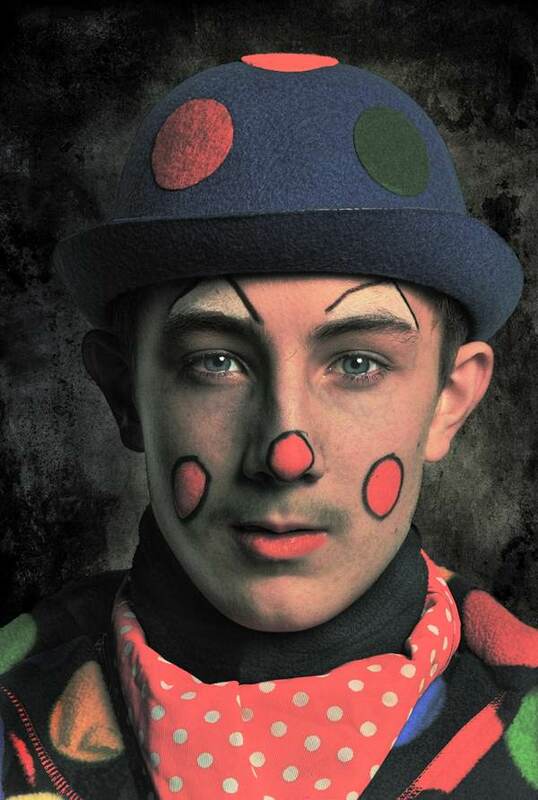 I invited Contributing Photographer John Claridge along to the 67th Annual Grimaldi Service at Holy Trinity Church in Dalston last weekend to take a set of clown portraits, as a complement to his fine series of boxers. We were guests of Clowns International, the world’s oldest clown club founded in 1947, and John set up a studio in a quiet corner where we spent a memorable afternoon, entertained by a procession of cheery funsters sufficient to brighten the grimmest February day. 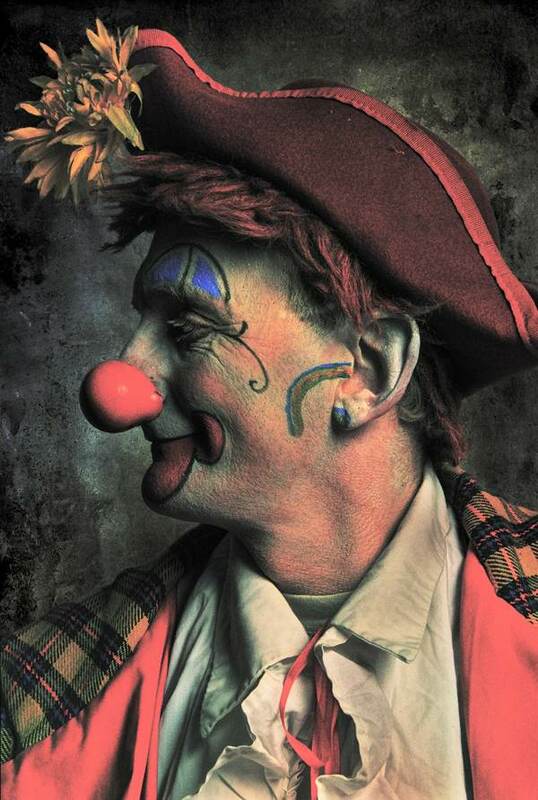 Jolly Jack - Clowning for thirty-six years. 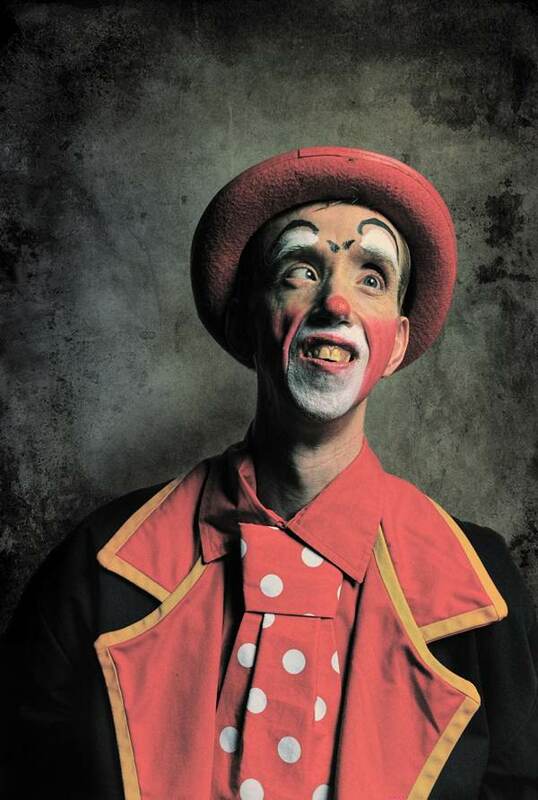 Joe Sammy - Third generation clown, grandson of Mickell the Clown. 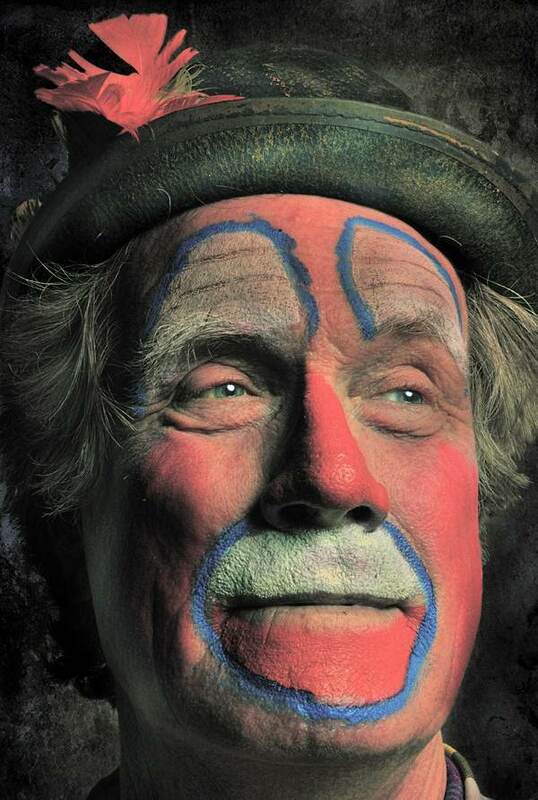 Uncle Colin – Clowning for thirty-six years. In partnership with Mr Woo as The Custard Clowns. Glory B & Bernie (short for Bernadette) – Performing for twenty-five years. 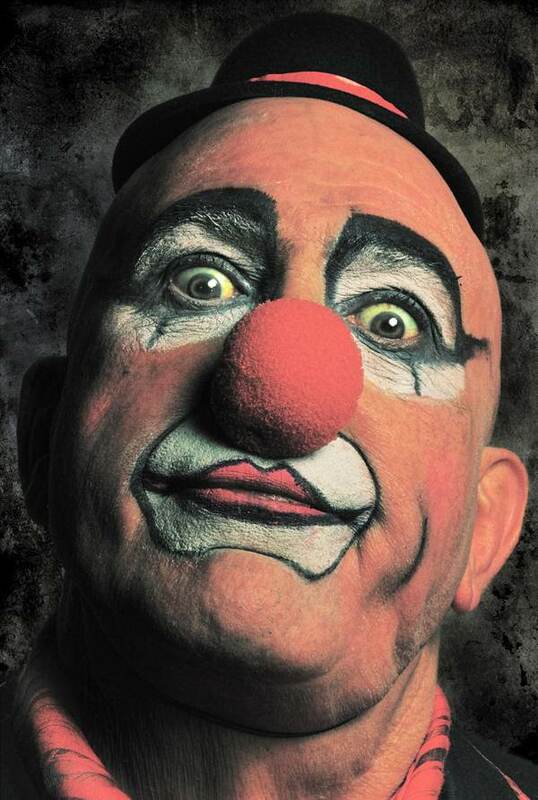 Rainbow – Clowning for seventeen years. Slapstick – Clowning for twenty-four years, since the age of thirteen. Tuppy – From Adelaide on a visit. Tofu the Zany - Clowning for more than twenty-five years. Love them, especially Jolly Jack! What a fine complimentary series to the pugilists. Beautiful shots of these characters, and I love the gorgeous subtle tones. What utterly wonderful portraits of the clowns, these would make such a lovely series of postcards or prints. These are very beautiful portraits – i wish there were more. It’s such a treat to see the individualism of these people/characters as expressed through their make -up and spirit. And behind the make up who knows what you might find. 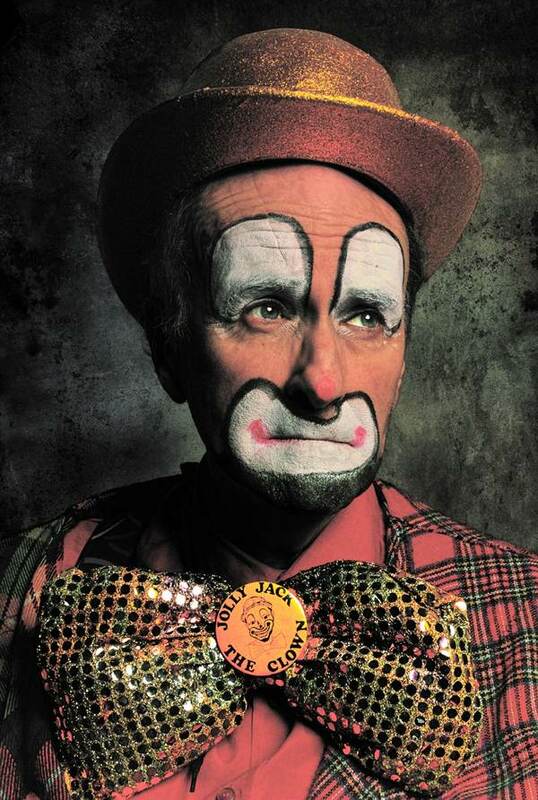 Tofu the clown is also Tony Allen one of the pioneers of Alternative Comedy, and a regular at Speakers Corner too! All so different, so personal, so emotional, so nice, and each clown is telling his or her story. Or is it music? A story in photography and music in the act? Was it ever possible to match clowns with boxers? Or perhaps make-up the boxers and remove the slap from the faces of the clowns, dressing them in shorts instead? Wonderful portraits, John. Thank you. Well, would you believe it?! . . . has JC’s lens gone crazy?! . . . colour?! . . . what will his pugilistic friends make of it?! . . . or is he just clowning around between bouts?!!! 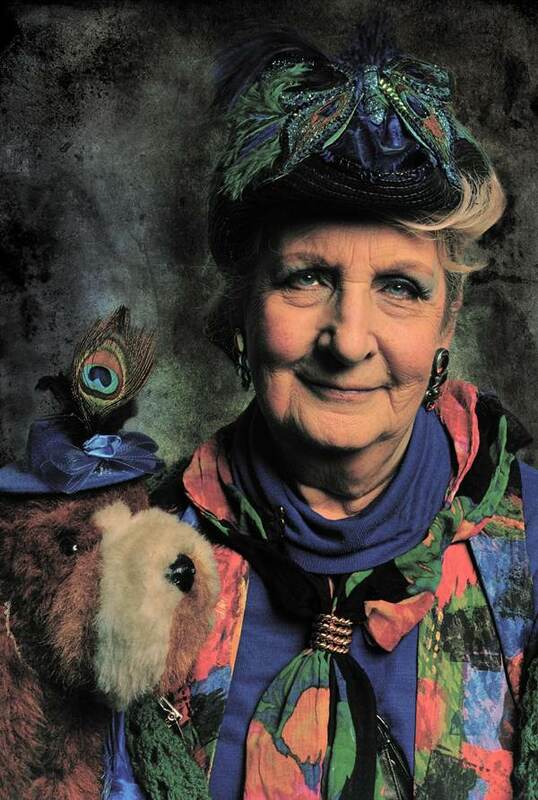 these are really extraordinary photographs and extraordinary people. really unique. 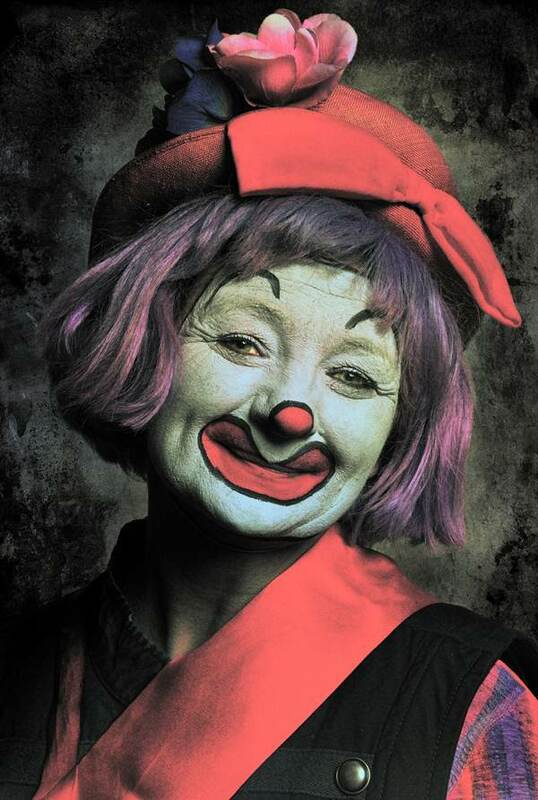 ,lovely shots, I love the texture you have on the makeup ,how it changes the colour and look of the clowns . Wonderful.wish I could have been there . John, I cannot imagine being amongst all these clowns. I look for my favourite, it is hard, maybe Tuppy, or Snoozy, or Mr Woo for his eyes. We have all been clowning, they bring tears to my eyes (I should be laughing). You found and got to know them – in only an afternoon! Thank you so much for including my picture, John. I really had no idea what to expect when you took our photographs, but the results are superb. You made the day at Dalston een more special! Best regards from Adelaide, Tuppy & Stephen.